Progression will be linear. Players will now earn experience for the class, heroes, and ships they use/play in the multiplayer modes and, after acquiring enough experience, will level up. Each level will provide players with a Skill Point that they can apply to unlock Star Cards or increase the level of an existing Star Card. No previous progression will be lost. Anything players have unlocked up until this point they will retain. Crates will only contain Credits and cosmetic items. Nothing that affects gameplay will be in the loot crates, thus removing the "pay-to-win" model that plagued the game's initial launch. Cosmetics will be available for purchase using in-game currency or real world money in April. No word on pricing yet. I suppose it only makes sense that EA wouldn't extend these big changes (detailed here) to an "offline" mode where players could potentially exploit these changes. Still, it's a shame that there's nothing in this update for the Arcade mode. Hopefully, with this stuff in place, the development team will be able to focus some on the Arcade mode and work to add/improve upon it. 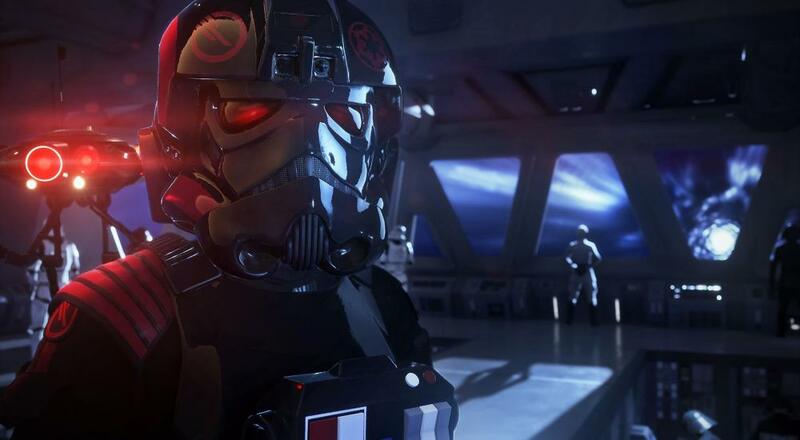 Star Wars: Battlefront II is available on PC, PlayStation 4, and Xbox One, however, two player couch co-op in the Arcade mode is only supported on the PlayStation 4 and Xbox One. Page created in 0.8833 seconds.